Many people (myself included) would consider the campfire a key element in their camping experience. 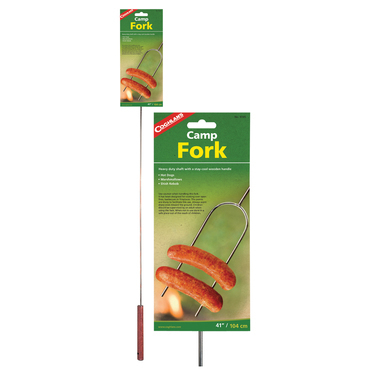 It keeps you warm at night and mesmerized by dancing flames, but it is also a versatile tool in the camping experience. However, you need tools to use this tool (kind of like how you need a compressor to operate a rattle gun), and so I bring you a selection of my all time handiest pieces of campfire equipment. It’s as Aussie as the swag or the good old drover. In fact, you would probably have found a billy can rolled up in a swag upon a drovers back when our country was being pioneered. Epitome of Australia right there! I’d recommend grabbing an enameled or stainless steel one with a wide open top and a spout on the side. 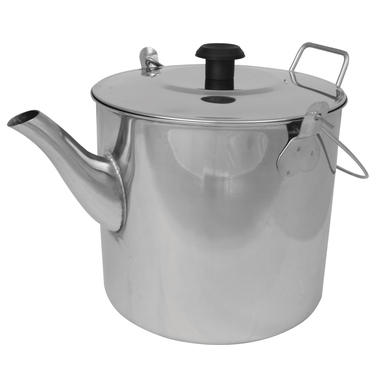 With a spout you can boil water for tea, cook your canned stew or boil your veggies. They’re both the same thing, just different names. A 10 inch model is a good size to start with and you can cook a mean roast, stew, damper, bread, desserts and, well pretty much anything you’d cook in your oven at home! You can get a cast iron model which is cheaper and easier to control heat in, or a spun steel oven which is lighter but costs more and needs precise heat control. It may be heavy, but cast iron is such durable stuff! The extreme heat from the campfire can quickly ruin non-stick coatings on those fancy pans, and plastic handles…well, I don’t even have to say. The worst that can happen to your cast iron is that it gets too hot and your food vaporizes the moment it makes contact. They’re made to save your hands from the intense heat and molten metal of welding, so they’re perfect for around the fire! You can pretty much pick up a burning log and not feel a thing, and you won’t singe your forearms either as they’re plenty long enough! I used to think these things were good only for filling with baked beans or ham and cheese to make a toastie. Turns out you can put some of last nights roast in there and have a hot roast beef sandwhich for lunch. Or make Dessert Toasties like I did HERE; filled with banana, white chocolate and custard. Might sound weird but it tastes like something from the bakery! You can pick these up for around $60, or hunt around a bit and find a bargain. There are plenty out there. All you do is build a small fire, fold the legs out from under the plate and put it over the fire. Flat plate on one side, grill on the other side and all the fatty mess just burns away in the flames. Watch out for fat fires, I get these a lot! You can get by without one of these, but it’s damn handy to be able to hang your billy over the fire without having to worry about it tipping over. That’s what the tripod is for. They are reasonably lightweight and don’t take up a lot of space, especially if it’s a model with legs that fold in half. This is a pretty versatile bit of gear too, and I’m getting hungry just thinking about all the food I could cook on one right now. We’re talkin marshmellows, sausages, kebabs and of course toast. Actually, if you can eat it, you can stab it onto one of these and roast it over the open flame. Oh, and it only costs like 10 bucks! Great article and I totally agree with all you have said, I have never worried about the fork, but I can see its uses. Totally agree with you Alex. For number 9, I would add a shovel. Digging fire pit, shoveling coals, making the coal bed for the oven to sit on, and finally to smother the fire with sand or whatever. Number 10: probably part of number 2, but still: a camp oven lifter. to check your food if it's ready by lifting the lid, or to remove the oven from the coals. cheers, guys. crossing into Iran tomorrow. :) fingers crossed! I like your articles. Keep them up. I cook almost solely over a fire for camping. #6.Folding Hotplate is an option for cooking in the morning, lunch and dinner for a camping trip. However, we need water and soap to clean after using it.